"Money Observer provides me every month with my 'Monthly Hard Copy Investment Bible'. I always enjoy the many carefully researched and written articles, that are still very useful to an avid investor of many decades, like myself." 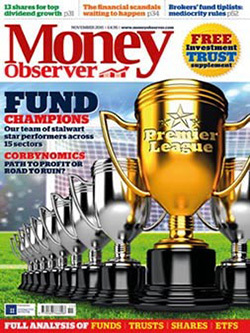 "Money Observer is my first choice magazine for incisive articles, accurate information and leading industry comment." "Money Observer is the most complete personal finance and investment magazine that you can buy. With Money Observer you simply don’t have to read another magazine." Looking to get your finances in order? 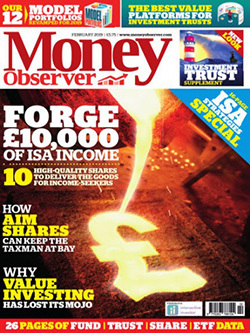 Money Observer is the most experienced personal finance and investment magazine in the market. If you're serious about making the most of your money this year, take advantage of our expertise today. Now is the time to act and get your finances in order, and the perfect time to enjoy our no commitment trial offer! 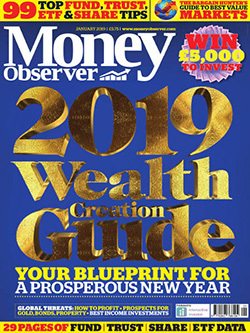 Try Money Observer magazine today and benefit from the complete package: as well as receiving the latest print issue you can also gain full access to the online edition and Money Observer App on your iPhone/iPad/Android devices. Plus, don’t miss out on our full analysis and data tables of funds, trusts, shares and ETFs. FREE access to the Money Observer app for Apple and Android devices. FREE access to all of the archive editions online.